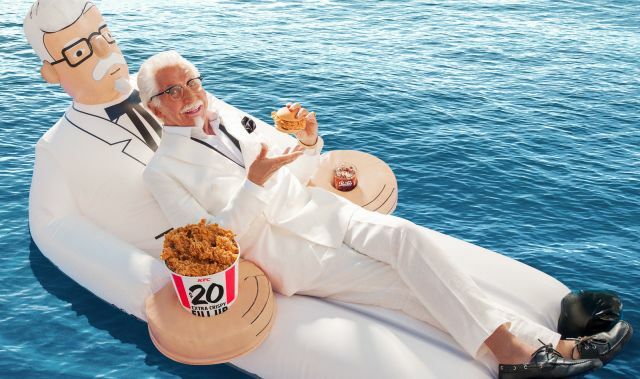 KFC has come up with a floatie that looks like Colonel Sanders and can hold both a bucket of fried chicken and a drink as you lounge in the pool. While you can't buy one, they're giving away several hundred of them in a sweepstakes that runs through June 22, 2018. If you're hoping to spend your summer floating in the arms of an inflatable Colonel, you can try your luck by entering at KFCfloatie.com. Winners will be selected on June 23, and prizes should arrive in time for the 4th of July weekend.